He wears a bright red outfit with a fluffy white trimming, has a big white beard and is best friends with Rudolph - any guesses on who is heading to Westfield Manukau City soon? It’s that time of year again; Santa is making his annual yuletide pilgrimage to Westfield shopping centres around the country and Westfield Manukau is continuing their own special traditions in sponsoring the Manukau City community parade. Everyone’s invited to come watch the Westfield Manukau ‘Santa Arrival Parade’ on Friday 22 November. See all your favourite characters – Bob the Builder, The Cheer Bears, Santa Bear, Pikachu, the Smurfs as well as Zane and Degge from New Zealand’s Got Talent. Westfield’s very own Kids Clubs Mascot “Monty” will be there too and of course, Santa Claus. 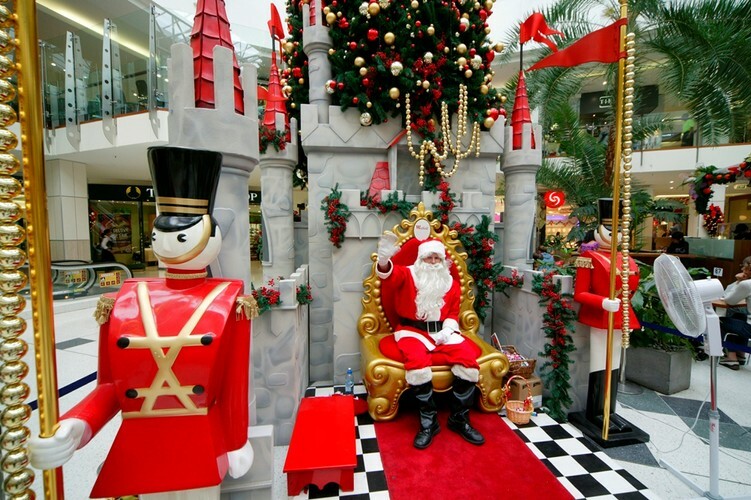 Following the ‘Santa Arrival Parade’ families are invited to head in to Westfield Manukau’s Centre Court for a fun filled free Christmas extravaganza of dance and music with Santa and friends. Santa will be in residence to listen to everyone’s wishes and have his photo taken from Friday 22 November until Christmas Eve.